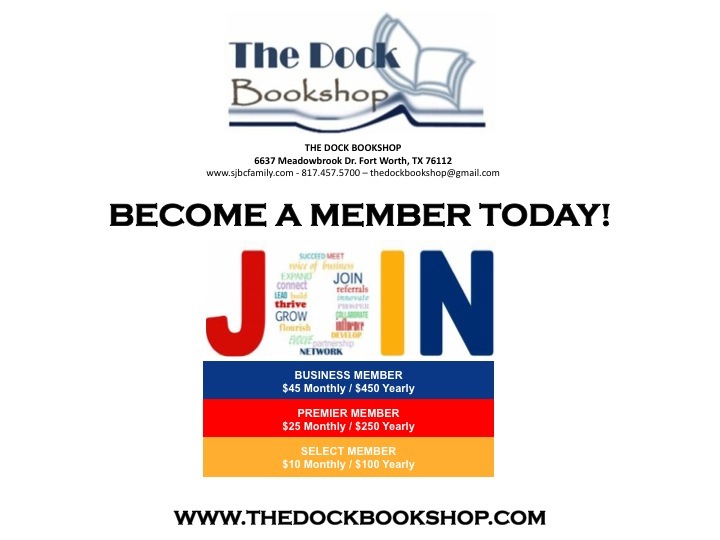 Begin Your Search For BOOKS Here! Collects Black Panther (2016) #5-8, Jungle Action #6-7. Counting down the final days of the kingdom of Wakanda! As Zenzi and The People poison Wakanda’s citizens against the Black Panther, a cabal of nation-breakers is assembled. And Ayo and Aneka, the Midnight Angels, are courted to raise their land to new glory! His allies dwindling, T’Challa must rely on his elite secret police, the Hatut Zeraze, and fellow Avenger Eden Fesi, a.k.a. Manifold! And with T’Challa’s back truly against the wall, some old friends lend a hand: Luke Cage, Misty Knight and Storm! 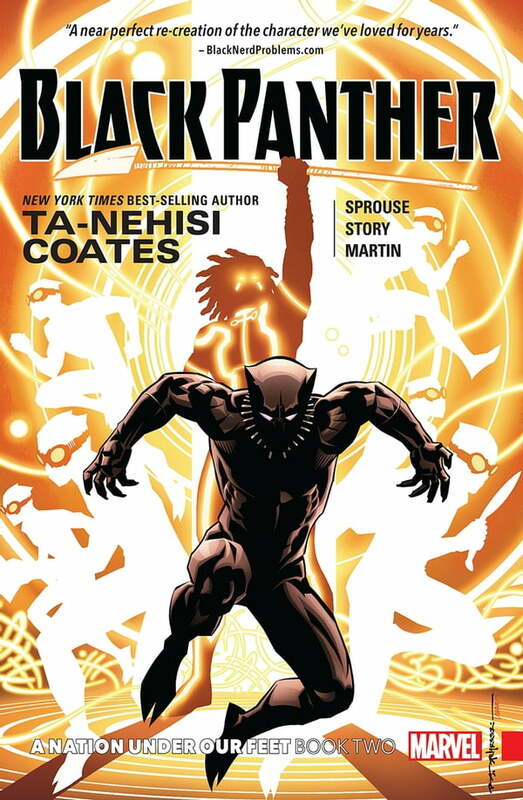 But Wakanda may be too far gone for this all-new, all-different crew — and there’s one job the Panther must handle alone. Only he can voyage into the Djalia! Getting there is hard enough, but can he even find his sister Shuri inside Wakanda’s collective memory? 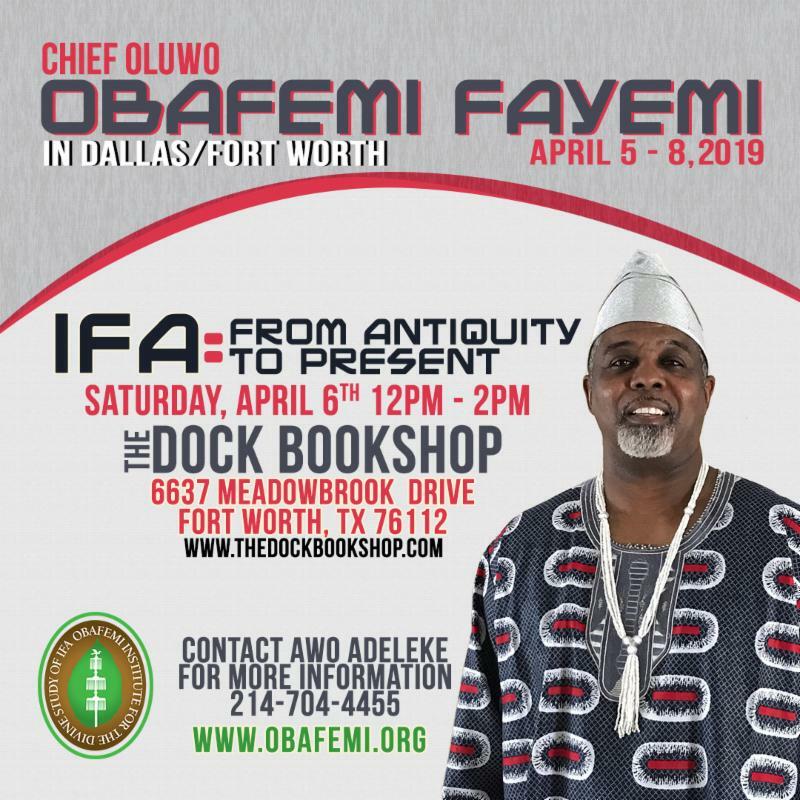 Chief Obafemi is the founder of Obafemi Institute of the Divine Universal Study of Ifa (O.I.D.S.I) which believes that by using Ifa as a tool, one will learn to trust themselves and the creator, and that the Ifa oracle can help one to understand one's purpose. 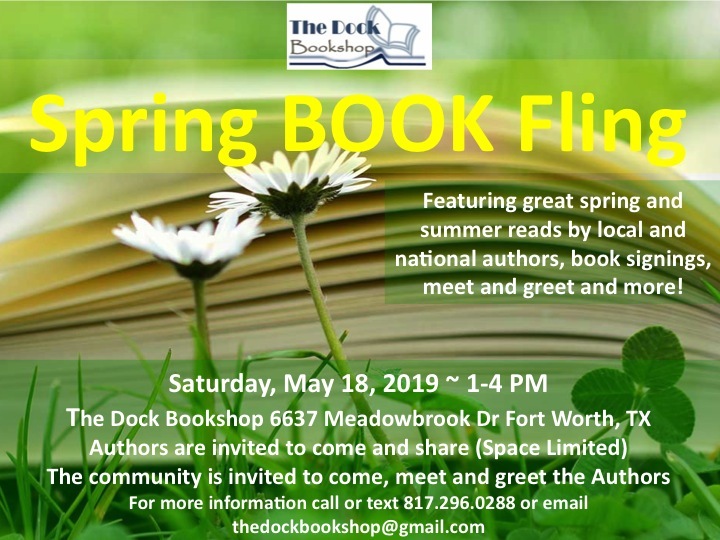 Come learn more! Open to all students! $5 Registration. Prizes & more. 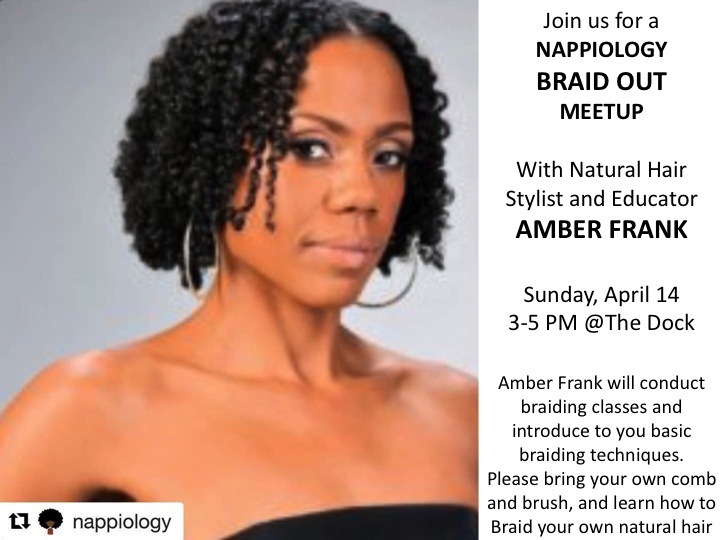 Join us for a Nappiology Braid Out Meetup with Natural Hair Stylist and Educator Amber Frank, Natural Hair Stylist and Educator will conduct the braiding classes andintroduce to you basic braiding techniques. 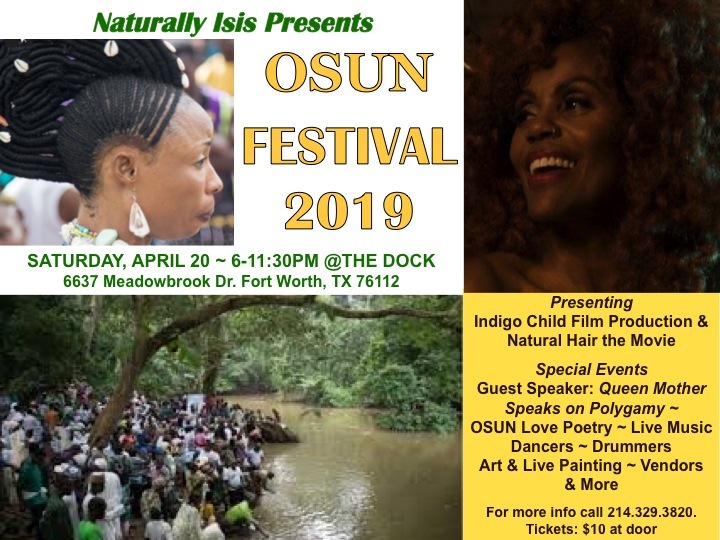 Please bring your own comb and brush and learn how to braid your own natural hair. 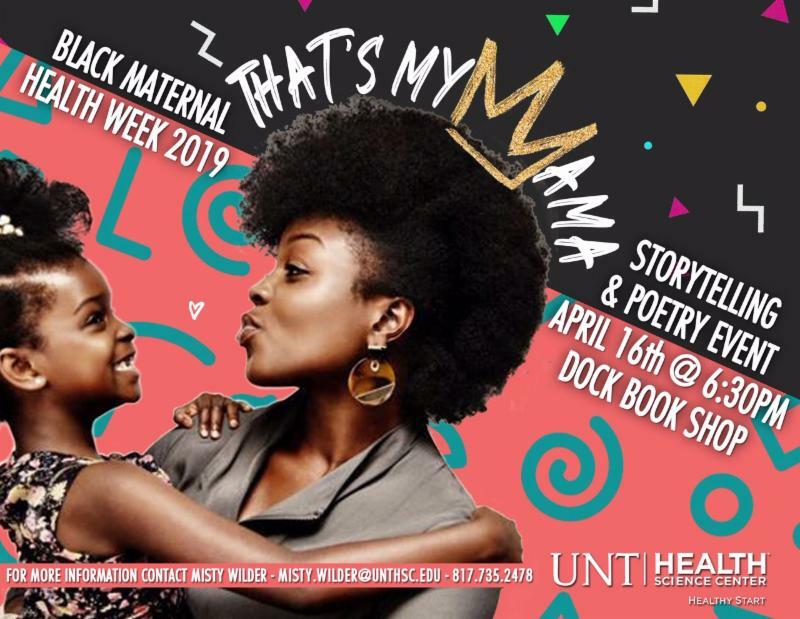 Celebrating Black Women's Health with stories, poetry and information. 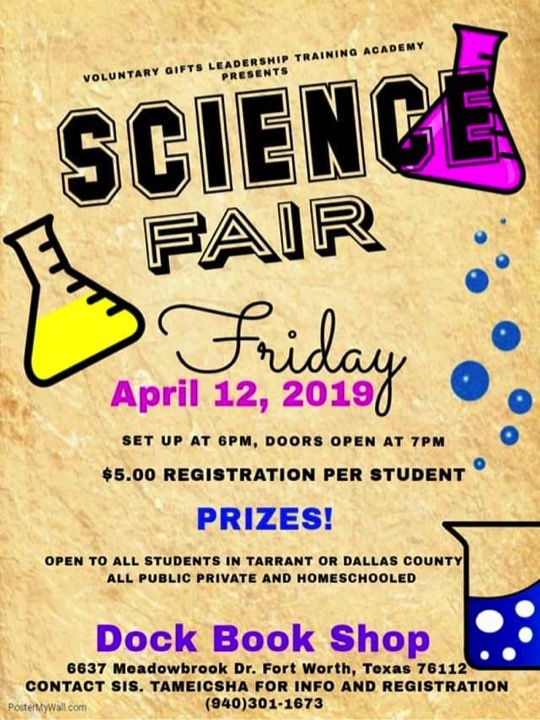 Free event presented by UNT Health Science Center. Our goal is to develop the thoughts, as well as provide an opportunity to practice the skills necessary to resolve the types of conflict we experience. resolution strategies that will benefit all parties. 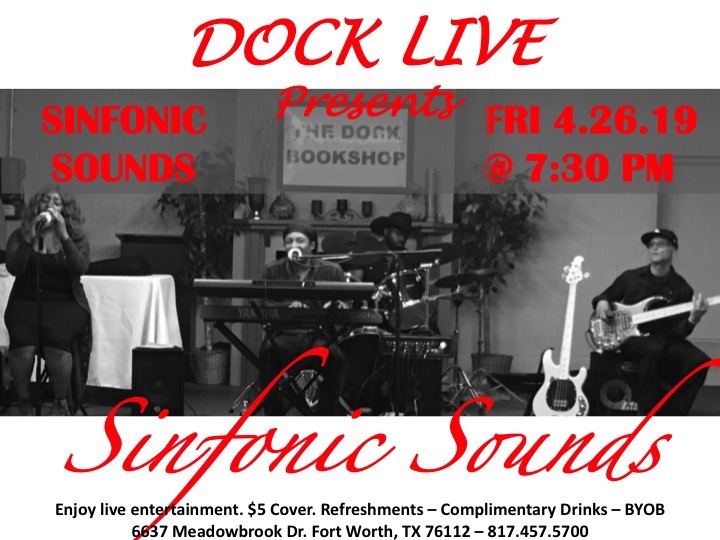 Enjoy live entertainment. $5 Cover. Refreshments, Complimentary Drinks and more. This will be "Real Life" Testimony via the art of spokenword. Truth. Transparency. 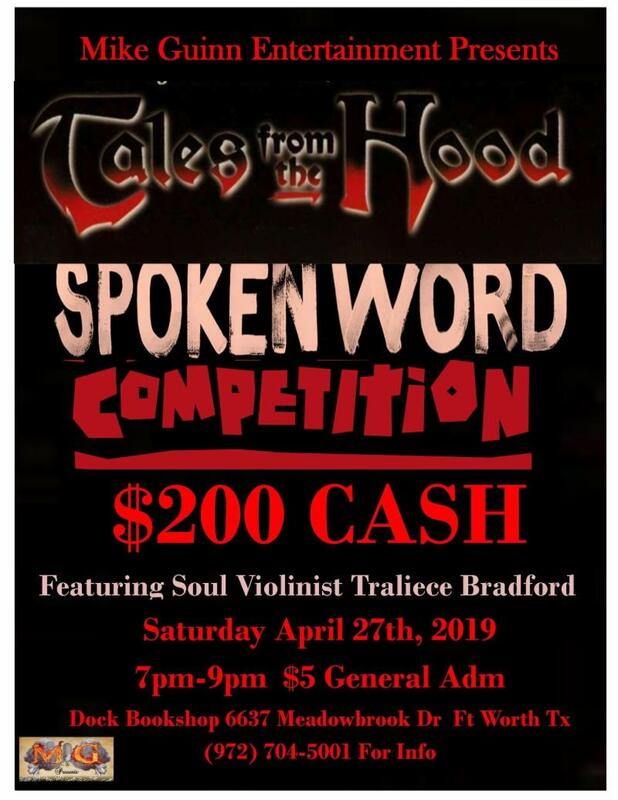 On this night some of the best Spokenword artist in the area are invited to share soul stirring stories. 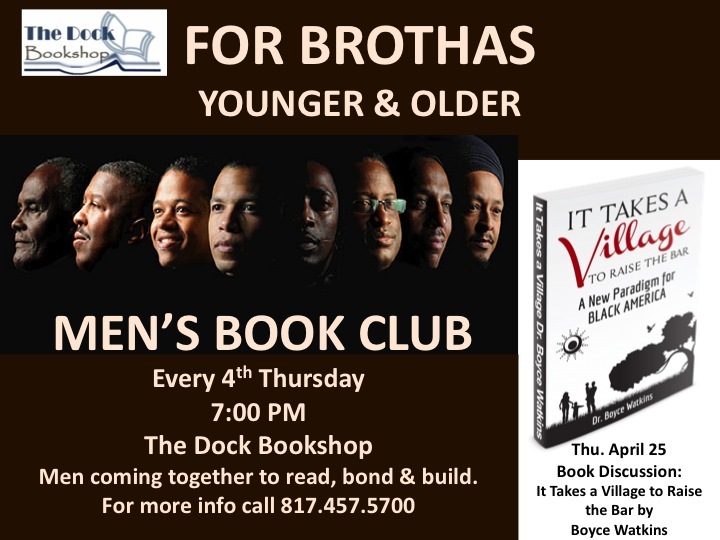 If you are a fan of powerfully poetic presentations from artists not afraid to leave their heart on stage. 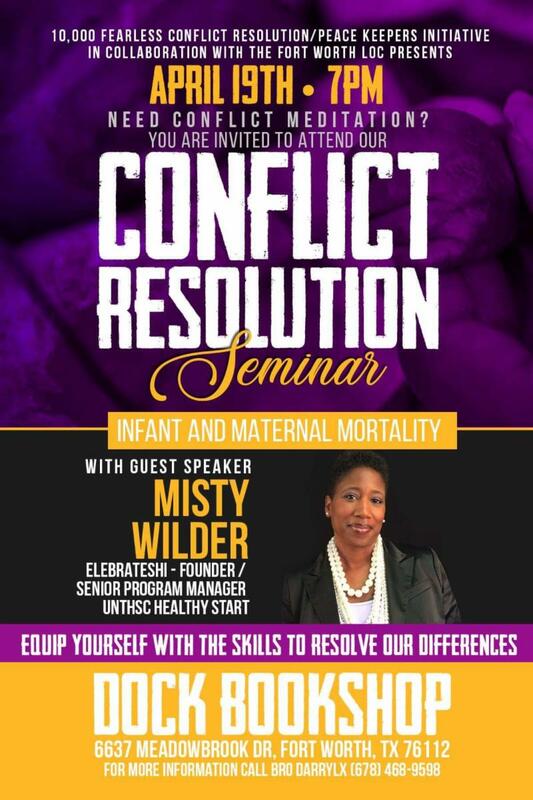 Then this event is where you need to be. ABOUT BOOK: There wasn't a sweet sixteen for Crystal like most girls her age. It was bitter-sweet as she waddled around alone, pregnant, and confused. Fast-forward twenty years and Crystal is still trying to right a wrong that she shouldn't have had to fix.Determined to emend her past misfortunes, Crystal runs to the church. But instead of making God her savior, she seeks her salvation from Marcus Powers, co-pastor of Freewill Baptist Church. Marcus is the love of her life and the very vehicle that will drive her to becoming a First Lady. A title she has wanted to own for most of her life. What Crystal fails to understand is that it will take more than being married to Marcus to make her a First Lady. If Crystal doesn't learn to un-blur the lines of her faith and flesh, she'll lose way more than just her self-worth. ABOUT AUTHOR: Gabrielle Beasley is a Screenwriter and Playwright. She received a Bachelor's Degree in Radio, Television and Film Broadcasting from the University of North Texas. She's worked as an Associate Producer and currently is the CEO of the faith-based production company, Potluck Film Productions, in Dallas, TX. Gabrielle also volunteers in the Drama Ministry at the Potter's House church in Dallas, TX as a writer and stage manager. In 2014, she produced the stage play First Lady or Not and is currently turning this stage production into a film. Get info on Events, Product Deals & More!!! 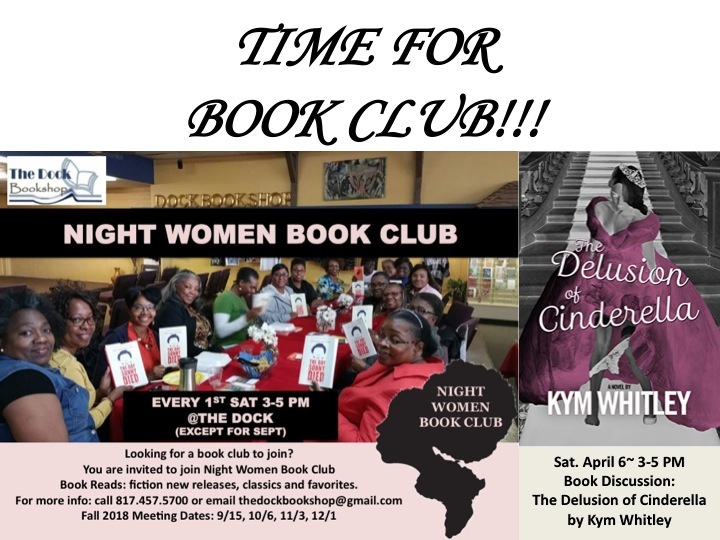 We would love to advertise and promote you and your book! LEARN MORE & GET STARTED TODAY! 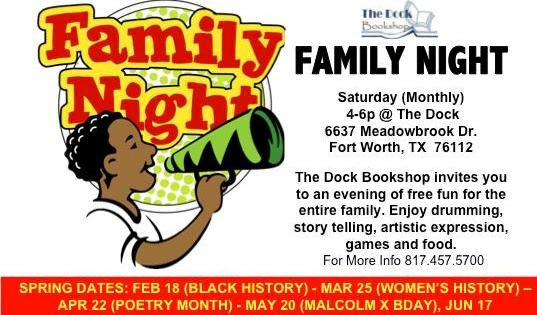 FAMILY NIGHT - Usually Saturday (Monthly) 4-6p @The Dock. Free fun for the entire family. Enjoy children's story time, pizza party, drumming and more! 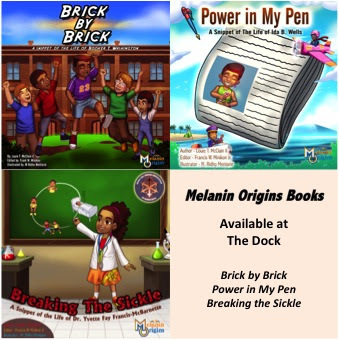 STOP BY OUR STORE TO CHECK OUT OUR LATEST SELECTIONS! 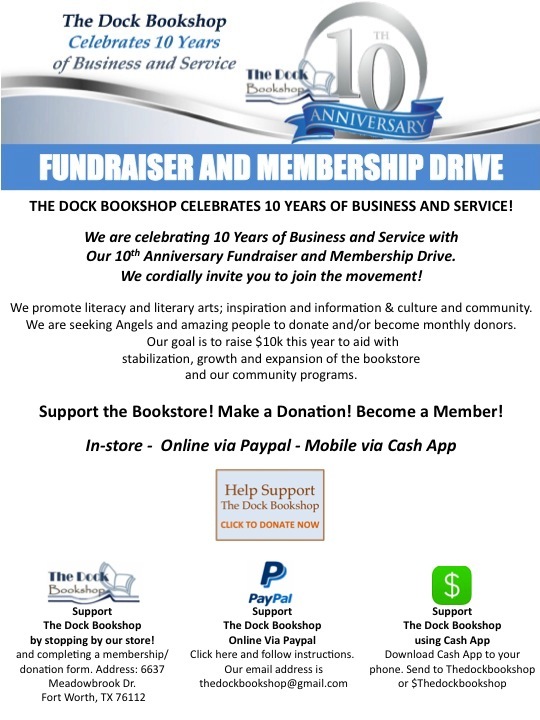 © 2008-2017 The Dock Bookshop. 6637 Meadowbrook Dr Fort Worth, TX 76112.